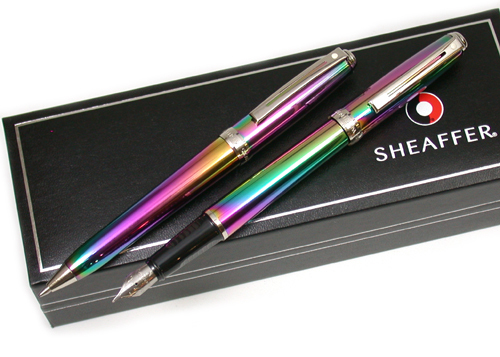 Rainbow Sheaffer Prelude fountain pen and ballpoint pen twin set. Fountain pen fitted with a fine nib. Special offer from Penbox.